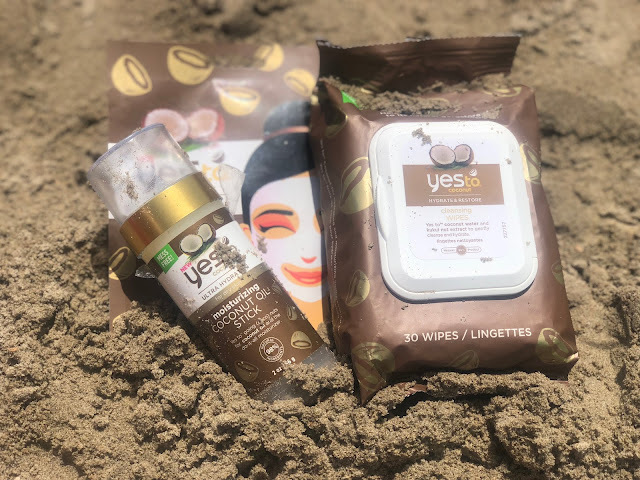 Yesto is a brand I have heard a lot about in the last few years, they provide natural and innovative products and have an extensive range of products. I was so happy to get the opportunity to try range which came in perfect time for my holiday! Moisturizing coconut oil stick- This is literally made for holidays its perfect! My skin is always so so dry especially as I was on holiday for 10 days I burn quite easily and always end up pealing. I applied this every night after showering, it made my skin sooo soft. My skin felt so hydrated, its super easy to apply due to it being a stick and absorbs into the skin really quickly. This was by far my favourite out of the range and I would definitely repurchase again. Cleansing wipes- There are 30 wipes in the pack and priced at £3.99 they aren't the cheapest wipes on the market but they are definitely more than your average wet wipe. For starters they smell amazing, I used these through out the day on holiday and surprisingly they didn't agitate my sensitive dry skin although I didn't test them on my face I really enjoyed using them. Ultra hydrating paper mask- is there anything better than a hydrating face mask? This is pe text for holidays after a long day in the sun too cool your face down and keep it nice and hydrated. Priced at £2.99 to its so affordable although it did sting slightly when first applying but I do have extra sensitive skin! Overall I loved trying out the Yesto Coconut range, I will defineitly be trying their Yesto cucumber and cotton ranges soon to! I've never heard of a moisturiser in stick form, what a fantastic idea! I adore the Yes To coconut range but I'll definitely give this one a try.